﻿ Daegwalnyeong Sky Keeper Pension, Pyeongchang-gun | FROM $88 - SAVE ON AGODA! Have a question for Daegwalnyeong Sky Keeper Pension? Nestled in the heart of Daegwalnyeong-myeon, Daegwalnyeong Sky Keeper Pension is an ideal spot from which to discover Pyeongchang-gun. From here, guests can enjoy easy access to all that the lively city has to offer. Also within easy reach are Yongpyeong Water Park Island, Yongpyong Resort, Ocean 700. The facilities and services provided by Daegwalnyeong Sky Keeper Pension ensure a pleasant stay for guests. The hotel provides 24-hour room service, free Wi-Fi in all rooms, express check-in/check-out, Wi-Fi in public areas, car park to ensure our guests the greatest comfort. Hotel accommodations have been carefully appointed to the highest degree of comfort and convenience. In some of the rooms, guests can find television LCD/plasma screen, internet access – wireless, internet access – wireless (complimentary), air conditioning, heating. The hotel offers fantastic facilities, including garden, to help you unwind after an action-packed day in the city. Discover an engaging blend of professional service and a wide array of features at Daegwalnyeong Sky Keeper Pension. My family love it so much . The a Chu ma very kindly and the place very nice. My boyfriend and I spent 4 nights here over Christmas and really enjoyed our stay. The room was really comfortable and warm (-15C weather outside) with a small kitchenette ideal for making breakfast. The hotel is a little out of the way but run by an extremely friendly and helpful couple who happily called taxis for us and even drove us to Yongpyong on a few occasions. They dont speak any English but we easily got past this. 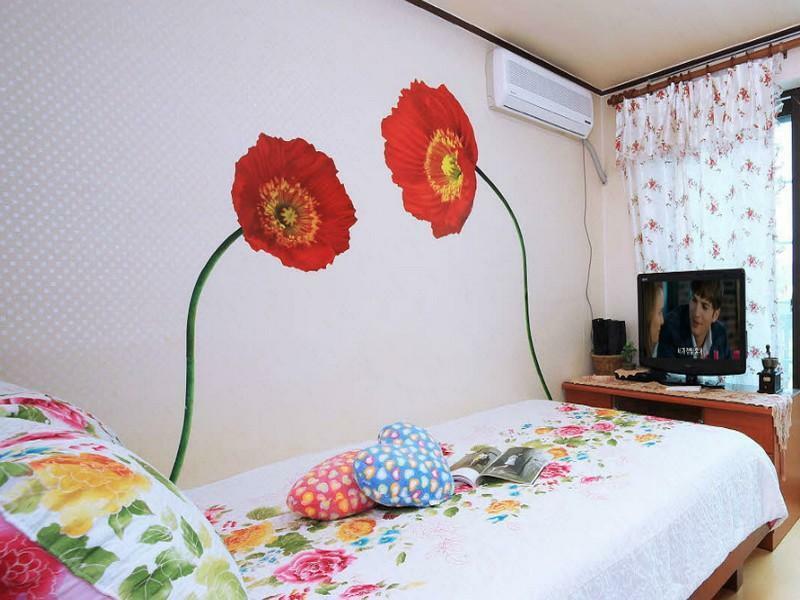 I recommend this hotel to anyone on a budget wanting to stay near YongPyong. I stayed at this pension as one member of a group of six friends on a ski trip. The location was perfect, very accessible (few minutes drive) to town and the Yongpyong ski area. We reserved three superior rooms for the six of us, requesting an extra bed in each room that consisted of the Korean style bed mat on the floor. The bed that is already in the room is a double-size mattress and is so firm that it is not much improvement over the bed mat on the floor. Each of the rooms had its own bathroom with the Korean style shower. The pension provides toiletries, a hair dryer, and towels in each bathroom, although you may want to bring your own towels if you are expecting full size bath towels. Not shown in the photos of the room is the kitchenette which was very nice to have. We had a mini fridge/freezer, a sink, a hot plate, pots, basic cooking and eating utensils, cups, mugs, and dish washing items. There is a microwave and barbecue in the central area between the rooms. This central area is an enclosed porch with picnic tables and cooking area that offers a good central eating location for a group. Although breakfast is not provided, we were able to easily make breakfast and clean up each morning with what was provided and what we picked up in a quick trip to the J-mart a few minute's drive away. The free WiFi gave us no problems and was nice to have. 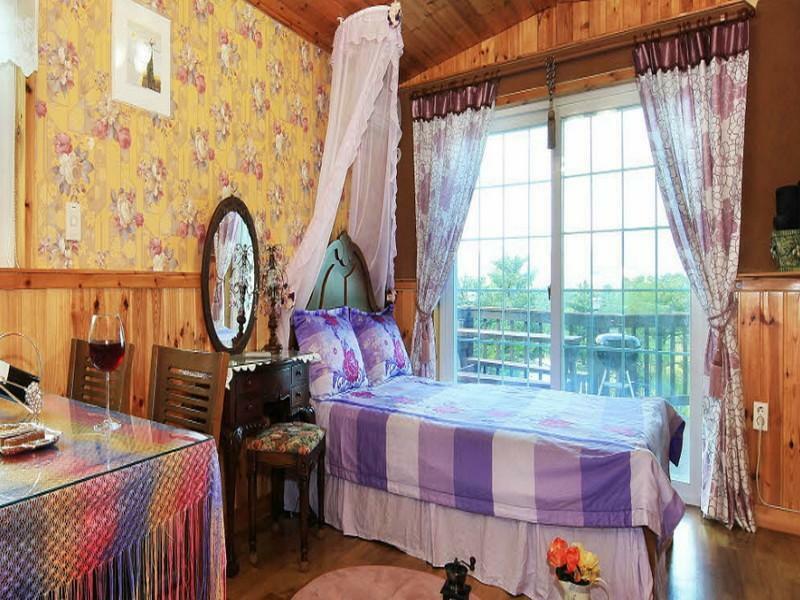 Overall, the Sky-Keeper pension is very clean and cute, with many touches that are clearly added out of love by the adorable couple that own the property. It really worked well for our group in terms of amenities and location and for a reasonable price. The superior room with extra bed would also work well for two adults and two small children. place is a little far from yongpyong ski resort. Need to take taxi there for about 9-10k won per trip. But value for money. House keeper is overly helpful. Hospitality, Interior Design, Good location (to Skii Resort) at a much affordable price! Although communication with the house keeper, who is a cheerful granny, was a tad difficult, her hospitality greatly warmth our heart. She and her hubby were very kind enough to send us to/fro the skii resort during our stay which were supposed to be arranged by ourselves. As for the location, it is strongly advised that you have your own form of transportation. However location to the Skii Resort was superbly near given the cost you pay. Overall a very satisfied customer, and would definitely recommend and patronize when we are back in Korea for Skii. If you want to have a relax holiday, you should go there. although there is not convenient for travelers, especially the foreigners, this hotel is a good place for a short break. 경치 / 위치 / 조용함..
Romanttinen huone. Sopii matkailijoille jotka pitävät erilaisesta tunnelmasta, kuin perinteiset hotellit tarjoaa. Hotelli poikkeaa normaalihotellista melkoisesti.Hotellissa ei ole respaa vaan se on enemmänkin omakotitalon tyylinen. Ei kannata säikähtää mennessään taloon, ensivaikutelma on toinen kuin todellisuus. Hotellia pitävä pariskunta asuu samassa talossa, toisessa kerroksessa. Normaaleja hotellipalveluja ei ole kuten siivous, puhtaiden pyyhkeiden ja lakanoiden vaihto. Kengillä ei saa mennä huoneistoon.Ruoanlaitto mahdollisuus, hotellissa ei ole ruokailua. Lomailimme talvella, joten kokemuksemme rajoittuvat talvikauteen. Ei sovellu liikuntarajoitteiselle, oma vika kun ei otettu asiasta selvää.Ihmiset ovat yleisesti ottaen ystävällisiä.